NVIDIA GeForce GTX 580 is the world's fastest DirectX 11 GPU. With screaming performance and an innovative new thermal design, GeForce GTX 580 rips through the latest games while running quieter than the previous generation. GeForce GTX 580 - don't play DX11 without it. GeForce GTX 580 delivers massive DirextX 11 tessellation performance so you can crank-up the gaming realism with incredibly detailed environments and characters. NVIDIA GeForce GTX 580 is the world's fastest DirectX 11 GPU. Harness the massive graphics power of GTX 580 in SLI to experience panoramic gaming across three screens with NVIDIA Surround technology. Breakthrough the boundaries of your screen and enter a new dimension with NVIDIA 3D Vision technology for games, videos, and photos. 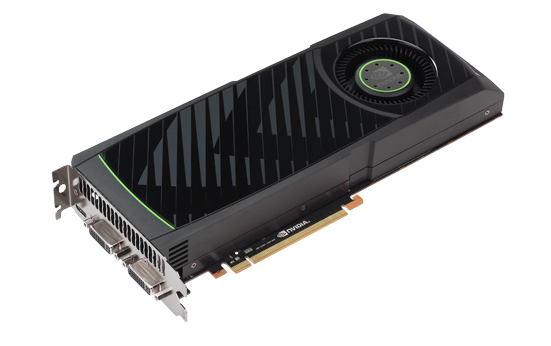 Qweas is providing links to NVIDIA GeForce GTX 580 2.20 as a courtesy, and makes no representations regarding NVIDIA GeForce GTX 580 or any other applications or any information related thereto. Any questions, complaints or claims regarding this application NVIDIA GeForce GTX 580 2.20 must be directed to the appropriate software vendor. You may click the publisher link of NVIDIA GeForce GTX 580 on the top of this page to get more details about the vendor.